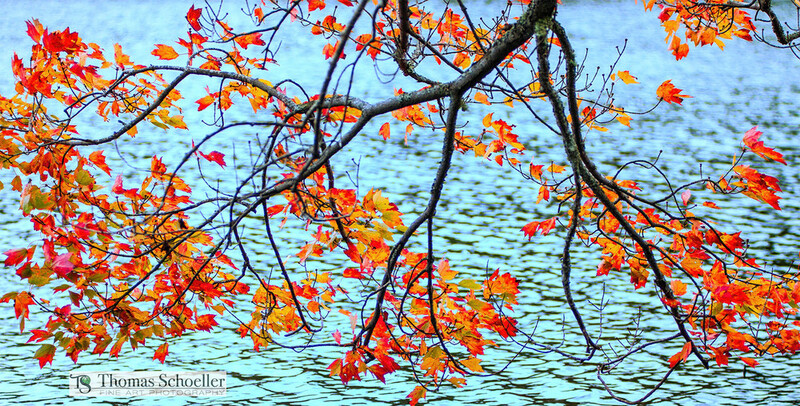 Brilliant orange and red autumn foliage are juxtaposed against cool blue colors reflected in a secluded New Hampshire pond. Simply titled "OCTOBER", the brilliant colors of autumn are the show. I used a long lens to isolate this lovely branch that was leaning so perfectly over the edge of this very secluded pond in New Hampshire's White Mountains. I was able to capture just enough of the cool blue skies overhead being reflected off the water to contrast the warm tones of the October foliage. This artwork is a wide 2:1 aspect ratio. That means the print width is going to be double the height. Sizes start at 20x10"